Along with data frames, a list is one of the most useful and most-encountered objects in R.
They are the only object in R that can store different modes of data objects of different sizes. As such, they are the usual output from statistical tests and models, becuase these outputs include single values (e.g., a text statistic or p-value), as well as vectors of confidence limits, and matrices or data frames of input data. A list is technically a 1-dimensional object. 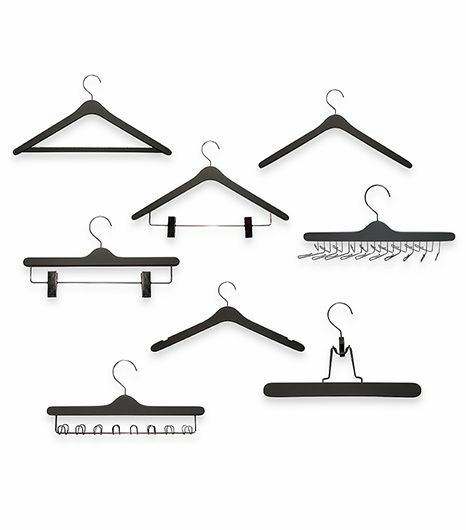 Lists are akin to a a closet (wardrobe), where you can hang multiple different hangers off a single main bar (hence the 1d). Lists are constructed with list() (cf. c() for atomic vectors). Notice that, similar to data frames, we can name each component (‘hanger’) of the list. (For a data frame, we can use a similar construction to name the columns, if we generate the data frame within R). Here, we have a list of three components, a, b, and c.
Using str() to look at the structure, we can see that we have a list of 3 components: an integer, a character, and a numeric vector. As usual, we get information on each component, its mode, length, and the first few elements. $ b: chr [1:4] "i" "i" "ii" "ii"
Lists can contain much more than just vectors. ..$ b2: chr [1:2] "one" "two"
As described in Subsetting and Indexing, we can access various parts of the list using [, [[, and $. We can access each main component by name (with $ or [), or by number (with [). Similarly, we can access the sub-lists. And we can directly access the elements using [[ and $. We can use these same tools to access the outputs of statistical models, etc. For example, the output of a t-test includes the estimates of each mean, t, and p values. Let’s look at the structure of this list. ..- attr(*, "names")= chr "t"
..- attr(*, "names")= chr "df"
..- attr(*, "names")= chr [1:2] "mean of x" "mean of y"
..- attr(*, "names")= chr "difference in means"
$ method     : chr "Welch Two Sample t-test"
$ data.name  : chr "l$c$x and l$c$y"
- attr(*, "class")= chr "htest"
We can extract and display any part of this output.